The debut album for prog. metal band Life Of a Lucid Dreamer (or LOLD) created by Egbert2011 has been released on Cookies And Biscuits after a long time of being independently released at their own record label. This album brings a heavy, dissonant style of progressive metal with some influence of metalcore and even classic rock. After 4 months of composing the album and nearly 6 months of waiting to be released here, here is the debut album of Life Of a Lucid Dreamer, Aftermath. This album contains 8 tracks. We hope you enjoy the album! 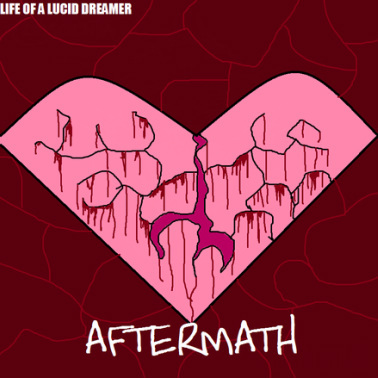 Life Of a Lucid Dreamer is a progressive metal band created by Egbert2011, the creator of the label Crumble Records. They're style consists of genres such as heavy progressive metal, some metalcore influence and hard rock merged into one. LOLD (acronym) formed August 15, 2013 under the name Lucid Dreamer, later changed to Life Of a Lucid Dreamer. They independently released their debut album, Aftermath on November 29, 2013, and released it to Cookies And Biscuits January 29th, and their second album is currently in the works.